What’s Behind India’s Big Export Decline? A long period of falling exports defies an easy explanation. Starting from Dec 2014, the last ten months have seen a series of contractions in India’s merchandise shipments, the last nine months by double-digit percentage points. Most analysts offer three explanations for the drops: the adverse effect of fall in crude prices; the relative appreciation of rupee against dollar vis-à-vis other currencies like the euro, real, rouble, or yuan; and slower growth in world trade. Doubtless, the fall in crude prices has affected the dollar earnings from exports of refined petroleum products like diesel and petrol. Slower growth in world trade is an irrefutable reality that is bound to affect India’s exports. However, India’s merchandise exports have been hovering around $300 billion for more than four years now, and that can’t fully be explained by low crude prices or slowing global trade, given India’s modest share of 1.7 percent of world exports. Similarly, India’s top competitor in its key exports such as steel, chemicals and textiles is China, and the yuan has fallen just 3 percent against dollar (compared to the rupee’s 10 percent depreciation) since July 1, 2014. It’s not that only exports of petroleum products are declining, exports of other items have also trended lower. For example, in Sepember shipments of engineering goods were down 23 percent, apparel 12 percent, and gems and jewellery 19 percent. Thus, the declines in India’s exports are quite broad-based. The roots of India’s declining exports are deeper, and have no short-term fix, such as letting the rupee depreciate against the dollar, simply because India’s export basket is no longer as price elastic as it once was. Hence, currency depreciation would have to be truly dramatic to give a meaningful push to India’s exports. That may not work, as other countrys are trying to do the same thing to capture an increasing share of sluggish global demand. And one little can be done about subdued crude prices, which are likely to persist for the foreseeable future. So what’s holding up India’s exports? Despite all attempts at diversification, India’s merchandise exports have a narrow base, with the top 20 categories accounting for 78 percent of the total. Even in top export categories like textiles, India is exporting low value commodities such as cotton yarn or apparel rather than technical textiles. India’s manufacturing exports are fast losing price competiveness, primarily because of poor logistics infrastructure compounded by a weak trade facilitation regime. India’s over-dependence on road freight means that the cost of logistics as a percentage of GDP remains as high as 13-14 percent, compared with 7-8 percent in developed countries. Exports incentives in the range of 2 to 3 percent of export value can’t fully compensate for the additional cost incurred on account of an inefficient trade infrastructure. Nor is the failure of India’s trade negotiators to get improved market access for the country’s exports helping. As a result, the country’s top exports are facing prohibitive tariff and non-tariff barriers in developing and emerging markets. In developed markets, where import tariffs are lower, India’s exports are subject to all kinds of non-tariff barriers. India has signed many trade pacts, more for geo-political reasons than commercial ones. The best example is the South Asian Free Trade Agreement, which has not resulted in any significant export gains despite the obvious logistical advantage and similar consumer preferences of the South Asian population. The conclusion of an ASEAN-China FTA prompted India to hastily sign its on FTA with ASEAN, to protect its existing tariff advantages. Further, most of India’s preferential trade agreements (PTAs) are shallow in terms of product coverage. For example, the India-Mercosur PTA doesn’t include textiles and apparel items, which face prohibitive import duties of up to 35 percent. India’s pharmaceutical exports have not benefited from tariff reductions under the India-Japan CEPA, mainly because it’s too cumbersome to deal with Japan’s drug regulator. Japan allows the duty free import of apparel from India only if all of the raw materials used are of either Indian or Japanese origin, with an exception of 7 percent content by weight that can be sourced from third countries. No surprise, the utilization of India’s PTAs for export promotion remains very low. Strangely, India itself has not imposed any sourcing restrictions, even for sensitive items like textiles, granting unilateral duty free market access to countries like Bangladesh when restrictions would have helped its export of textile intermediates. India’s ill-conceived trade pacts have also resulted in inverted duty structure – high import duties on raw materials and intermediates, and lower duties on finished goods – that discourage the production and export of value-added items. Thus, apparel can be imported into India duty free while its raw material –manmade fibres attract an import duty of 10 percent. That makes no sense. Similarly, finished products such as laptops or cell phones can be imported more cheaply than all their parts (imported) separately because of duty inversion. Fixing the trade regime should be the top priority for the government. However, that first calls for an admission that there is a problem with the way India has negotiated its trade deals. Facing criticism that India’s FTAs are aiding imports rather than exports, the Ministry of Commerce claimed that FTAs are not being used much by traders and hence can’t be responsible for rising imports. That begs the question: Why then did India spend so much time and energy negotiating them. India is also going slow on trade pacts that could be immensely beneficial. Vietnam has already concluded an FTA with the largely untapped Eurasian Customs Union comprising Russia, Belarus and Kazakhstan, while India has been slow to move ahead with negotiations. Meanwhile, India has been unable to bridge differences blocking a free trade deal with EU, its biggest trading partner. 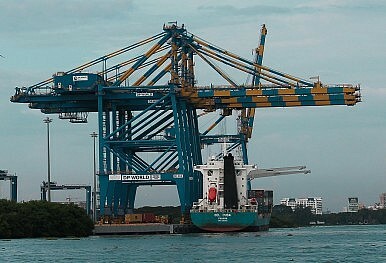 Worse, in a move that revealed its immaturity in trade negotiation, India recently called off the trade talks with EU. The recently concluded Trans-Pacific Partnership (TPP) – a trade bloc that has apparently held no interest for India – could be highly damaging for its exports. A tighter intellectual property regime may adversely affect India’s export of generic medicines to TPP countries, the U.S. in particular. Given the high applied duties for apparel items in the U.S., the TPP will create a direct tariff disadvantage for India’s apparel exporters (vis-à-vis Vietnam), which operate on margins as low as 6 percent. The imposition of yarn forward (a highly restrictive sourcing rule) will not let India benefit indirectly from supplying textile intermediates to Vietnam. Moreover, TPP may lead to investment moving out of India to TPP countries, dealing another blow to India’s future exports. Reviving India’s exports call for a carefully considered trade strategy and a much more radical policy mix than that which India could manage during the global boom years (2000-2007), when its exports surged 20 percent a year. Any takers? Ritesh Kumar Singh is a corporate economic advisor based in Mumbai and former assistant director of the Finance Commission of India. The article expresses the author’s personal views. Should India Join the TPP? In the wake of this week's historic agreement, what should India do now? India Needs a Renaissance The CPTPP Trade Agreement Will Enter Into Force on December 30TPP, RCEP and the Liberal Economic OrderTPP’s Regulatory Capitalism and China’s Belt and Road ChallengesWhat Now for Economic Integration in the Asia-Pacific?